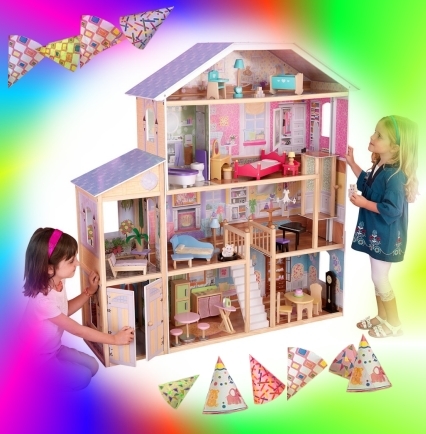 ﻿Bruce Goodman's "The dolls' house"
It was the third birthday for twins Heather and Roch Friedlander. They were turning four. Four! Their mother organised a little party. Heather could invite girls roughly her own age, and Roch could invite boys roughly his own age. They each invited six. Katie attended Heather’s birthday party and when she came home she said that the girls played with dolls in the dolls’ house while they boys were outside playing in the sandpit with trucks. This gender-branding is simply not what we expect these days from parents. In future, Katie will not be attending any further birthdays at your place unless we get an assurance that acceptable entertainment is to be provided. Thank you for your note. Katie will always be welcome to our birthday parties and we will continue to invite her. We have no intention whatsoever of limiting their imaginations! Katie Steiner had lots of birthday parties over the ensuing years. Heather Friedlander was never once invited. To be honest, when Katie Steiner turned eighteen, Amelia Friedlander was rather pleased that Heather had not been invited; judging from what she read in the paper.